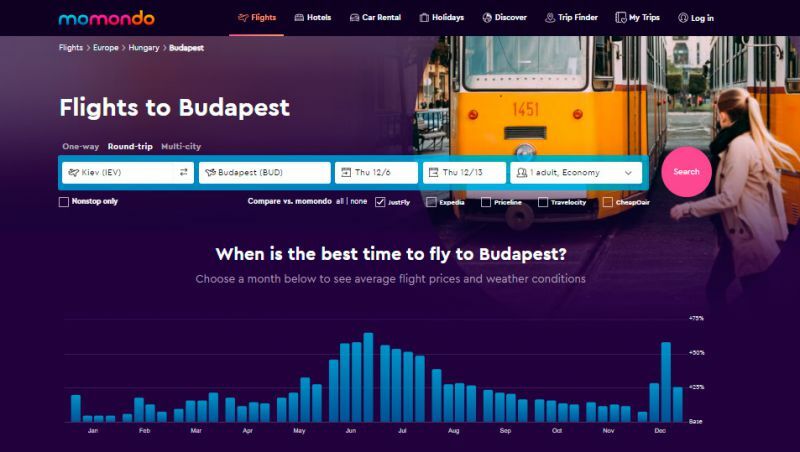 When planning a trip to Balaton, you should focus on two major cities located relatively close to the lake: Budapest (Hungary) and Vienna (Austria). If you choose a plane, most likely, you will fly from these cities. In this article, we will also speak about the bus and train service, as well as the car. 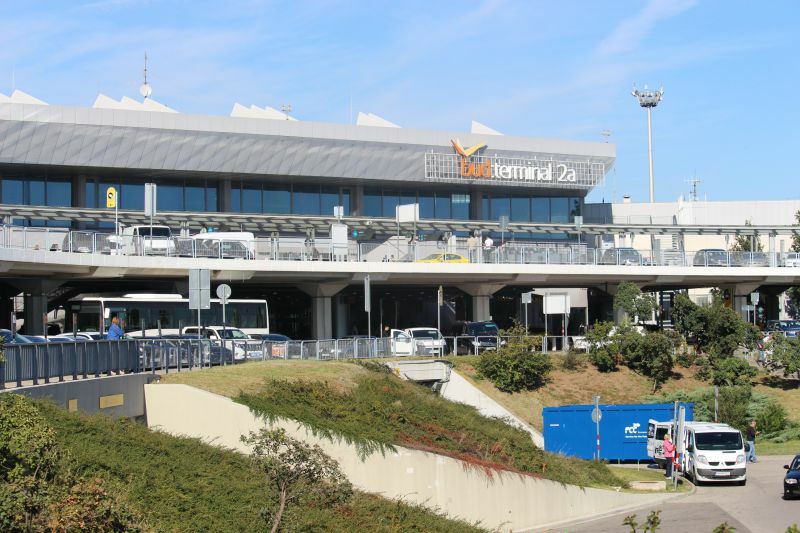 Budapest (Budapest Ferenc Liszt International Airport). There is also a small airport near Hévíz (Hévíz–Balaton Airport), a small town near Balaton, famous for its thermal lake Heviz. By the way, you can pick a plane ticket on momondo. Vienna Airport is 245 km from Keszthely, the city on the western shore of Balaton. It will take about three hours by car. Many people choose other cities on the northern shore of Balaton: Balatonfured, Tihany, Tapolca, Heviz. By the way, the most interesting attractions of Balaton are located exactly on the northern shore. 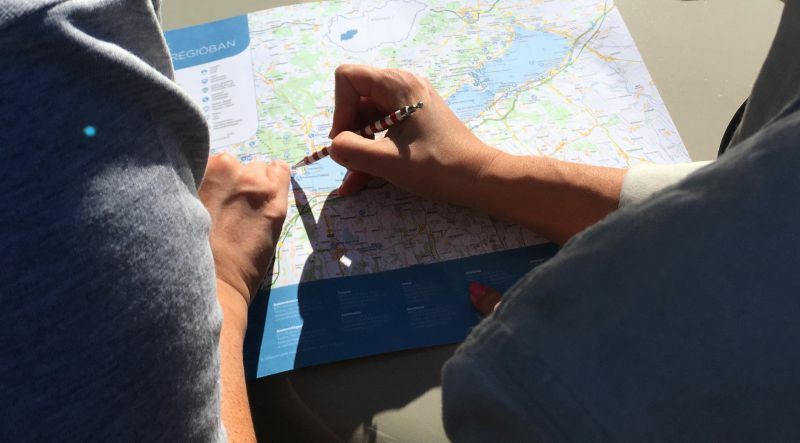 Let's have a look at different options for getting from Vienna to Balaton. By car. The road will take 2.5-3 hours. In Hungary, there are paid roads. If you are driving your car, you will need to purchase a vignette, a fee for using some roads. For 10 days, it costs from 1,470 forints (5 euros) to 3,500 forints (11 euros) depending on the class of the car. If you are travelling by a rental car, the payment is already included in the rental price. By train. You will need to get from Vienna to Győr and change trains to Balatonfüred or Keszthely. It will take around 4 hours. 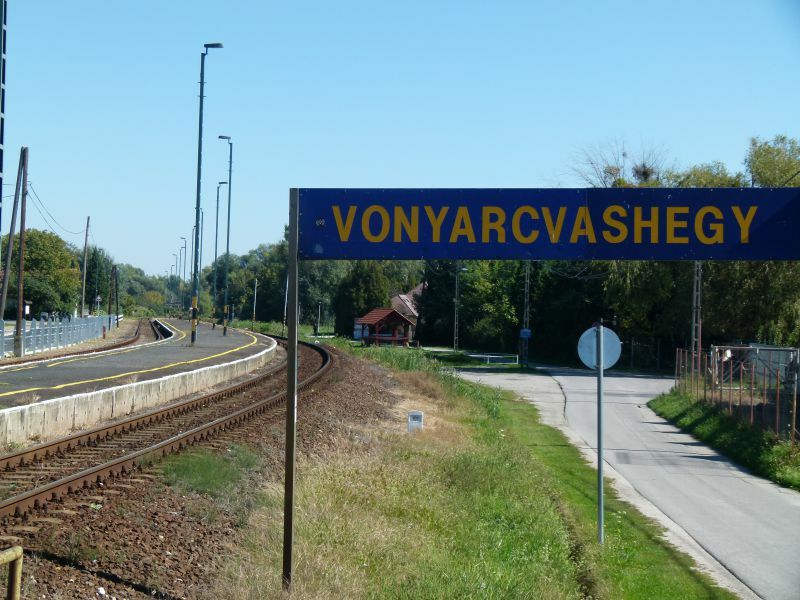 It may be more comfortable for you to travel from Vienna to Budapest by train (2.40 minutes), and, then, to get to the resort Balaton from there. If you take the road to Kelenföld, the station in Budapest, it is 2.5 hours. A local train from Kelenföld to Balatonfüred will take around 2 hours. Transfer. They are carried out from Vienna right to the resort of Heviz. More information can be found in the tourist information centre of Heviz. Bus to Siofok. It departs once in the morning and travels for 9 hours. Estimated cost: 55 euros. Please note that from the Vienna Airport, you need to get to the Vienna Station. It's easy, as you can use any public transport. Hévíz–Balaton Airport is located in the village of Sármellék, 13 km from Heviz. In the warm season, you can use regular and charter flights. Most often – from Germany. Travel companies and hotels usually organise transfers of guests to Heviz. Also, you can rent a car or bus. 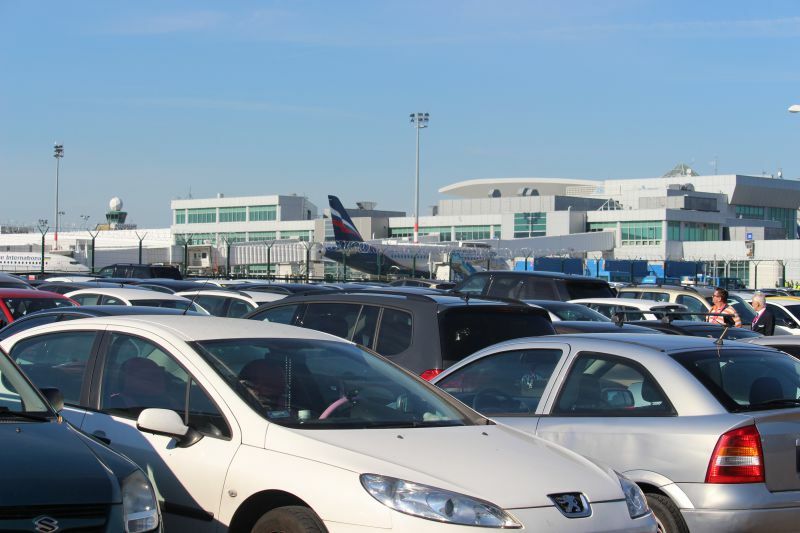 Budapest Ferenc Liszt International Airport is located 150 km from the eastern part of Balaton. It is about two hours by car, for example, to the city of Balatonfüred. It is the easiest way. Trains leave from Budapest-Déli station. You can check the schedule on the website of the Hungarian Railways. You can also buy a ticket online. Cost: 2,375 forints (about 7 euros). Journey time – 1h 20min. However, some trains that make one or two transfers, which extends the journey to up to 2-3 hours. The first train leaves at 04:05 (the first direct one – at 07:35). The last train departs at 21:40 (the direct one – at 19:35). The trains with transfers are about 200 forints more expensive. They run 2-3 times per hour. Cost: 2,725 forints (about 8 euros). Journey time – about 2 hours. The first train leaves at 04:05. The last one – at 00:15. Most trains travel with transfers; therefore, your journey time can take from 2 to 5 hours. They run 2-3 times per hour. Cost: 3,705 forints (about 11.5 euros). Journey time – about 2.5 hours, meanwhile, there are also 5-6 hours' trains. The first direct train departs at 06:35. The last one – at 21:40. They run 2-3 times per hour. When you exit Budapest Airport, you need to find a bus stop near Terminal 2B and take bus 220Е to Köbánya-Kispest metro station. Next, you need to transfer to the station Népliget, where you will find the bus station of Budapest. Cost: 2,375 forints (about 7 euros). Journey time – 2 hours. The first bus leaves at 06:40. Cost: 2,725 forints (about 8 euros). Journey time – 2 hours. The first bus leaves at 06:30. Cost: 2,200 forints (about 6.8 euros). Journey time – a little over 2 hours. The buses run from 07:30 to 19:00. If you need to get to the northern shore of Balaton, it’s best to get to Balatonfüred. If you are going to go to the southern shore, the best option is to use the train to Siofok. It's only 1h 20 min of journey time. Highway M7 to Siofok. You will get there for 1.5 hours. The distance is about 120 km. Highway M7 to Balatonfüred. When you reach the road 710 or 71, turn there. Journey time – 2 hours. The distance is about 150 km. 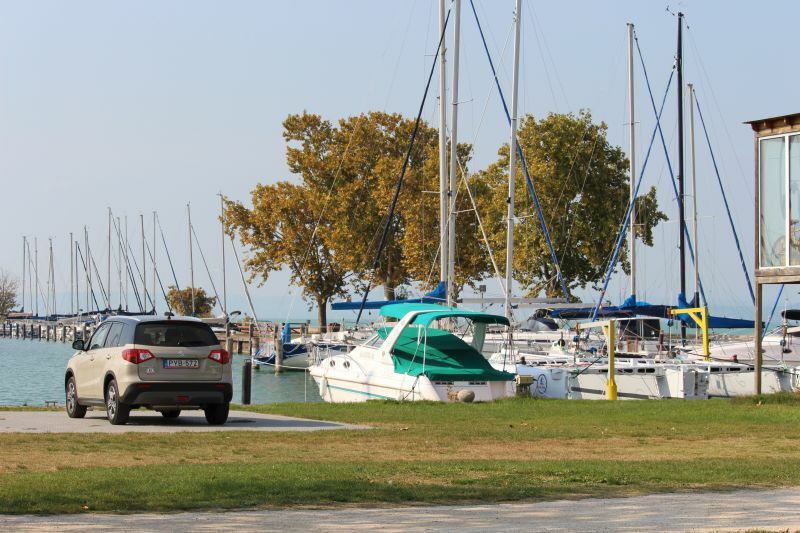 About transport on Balaton, read the article: Getting around Balaton: a complete guide.